Sorrow as sharp as a sword shall pierce Mary's heart because of her Child. Mary is in the Temple, having come with Joseph to present the Child to God. They meet Simeon, the holy man, and Anna, the prophetess. 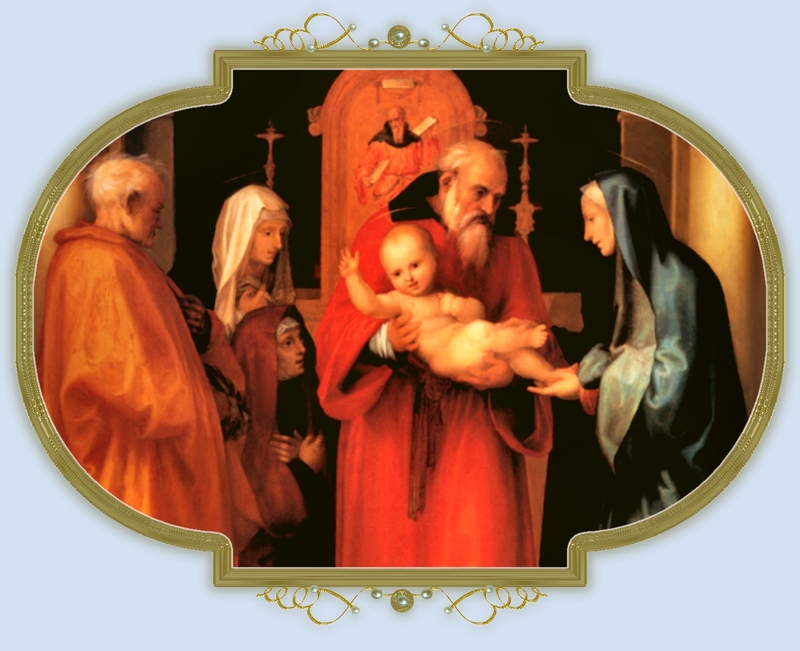 Simeon takes the Baby in his arms, saying he will now die in peace because he has seen Christ, then he foretells the sorrow to come.